As I have recently reviewed the complete range of Johnnie Walker bottles plus some other obscure bottles I though it was a great way of recovering of the huge deception that supposed not to be able to taste Lagavulin 21 years old to taste these three blended whiskies. 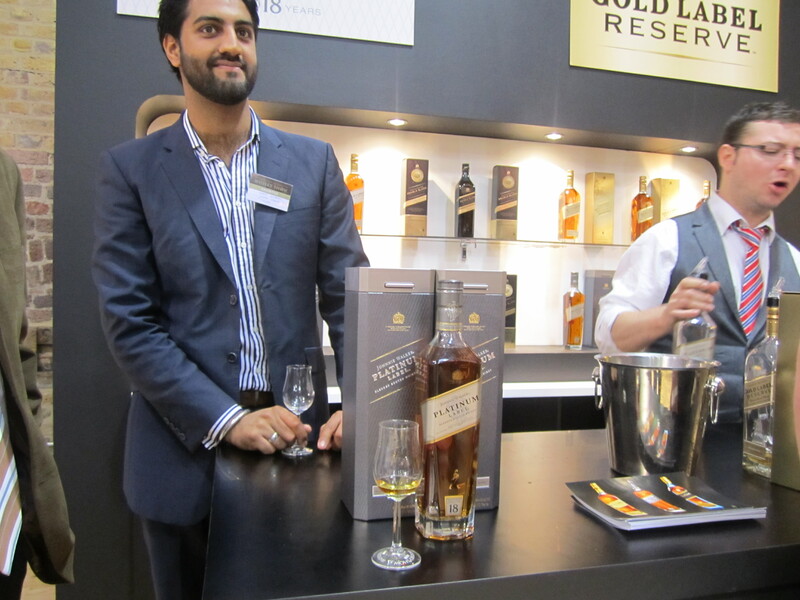 The Brand Ambassor suggested that I tasted first Gold Reserve so I obeyed. Unlike Blue Label, Platinum has an age statement in the box, 18 years old, although it is more expensive that the old 18 years old Gold Label. At least, this is a very nice whisky with a profile complex and mature that remind me of Johnnie Walker Blue Label. Very nice but hugely overpriced. I had all my hopes placed on this whisky. It was Black Label with more smoke. Not a fan of Black Label but I love peated whisky. Well… if you are after the peat go and look for it somewhere else. There is no peat and very little smoke on this whisky. Uuuaaaarrgh! Sorry! I am with you in a moment! Uaaaaggh! Well, very little to say about them… the only one worth of having whisky written in it is Platinum and it is hugely overpriced. I have been trying to write something positive about the other two and the best I can say is “Don’t buy them“.